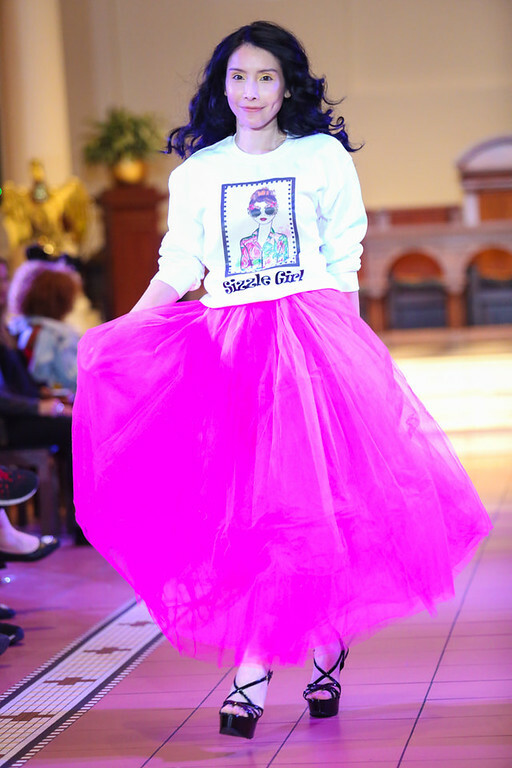 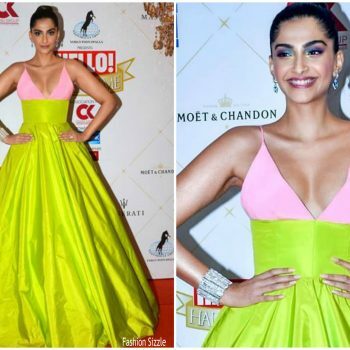 Sonam Kapoor has been busing promoting her new project Veere Di Wedding . 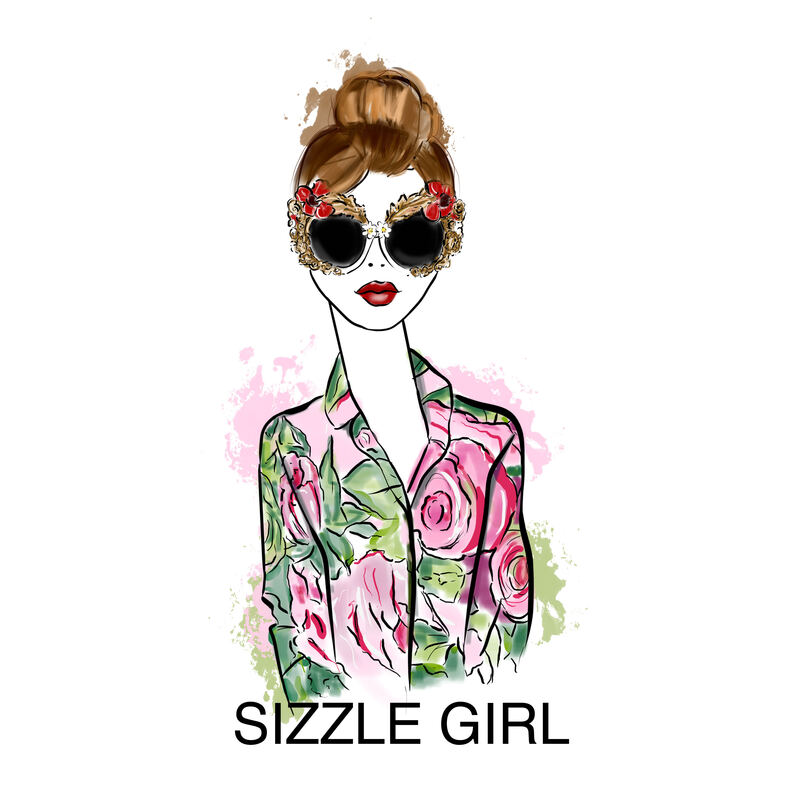 She is wearing a floral Erdem dress styled with ManoloB lahnik heels. 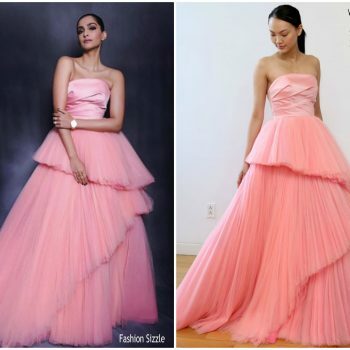 Sonam Kapoor attended thee ‘Veere Di Wedding’ promo tour in Delhi on Saturday (May 26) She is wearing a pink Keti Chkhikvadze design styled with Jimmy Choos heels, a Rheson bag and Isharya earrings. 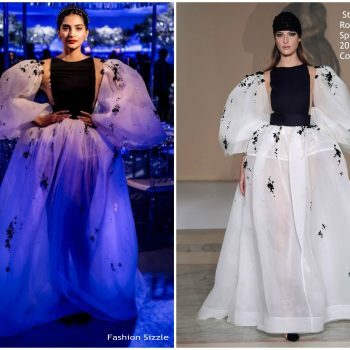 Sonam Kapoor was in attendance at Cannes Film Festival premiere of ‘Blackkklansman earlier today. 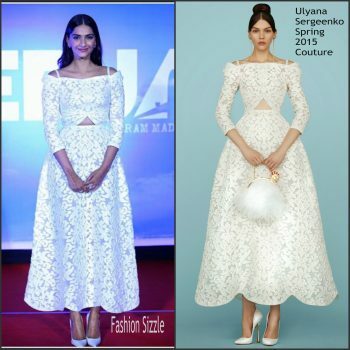 She wore a white Ralph and Russo embroidered crop top and full skirt. 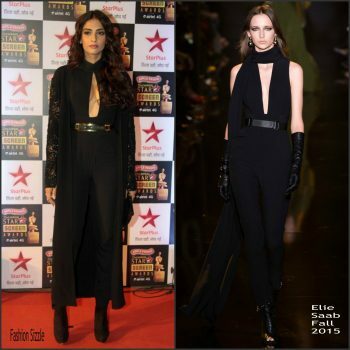 Sonam Kapoor was in attendance at the ‘Pad Man’ London photocall on Thursday (January 18). 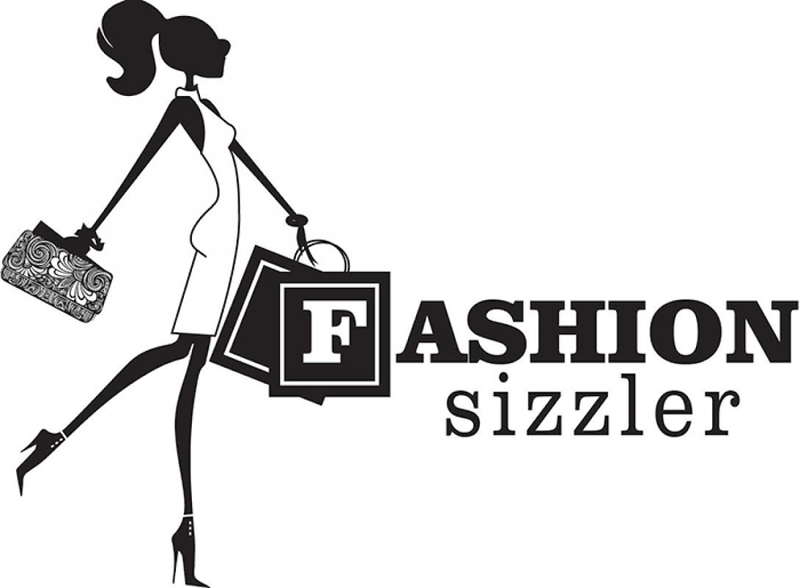 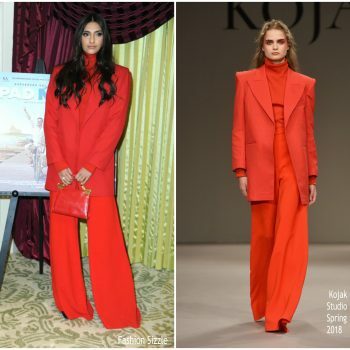 She wore a red Kojak Studio Spring 2018 wide leg suit design styled with a red Thale Blanc bag . 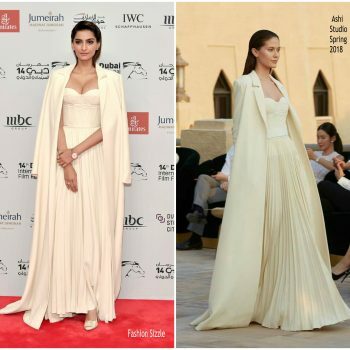 Sonam Kapoor attended the opening night gala of the 14th annual Dubai International Film Festival this evening (December 6). 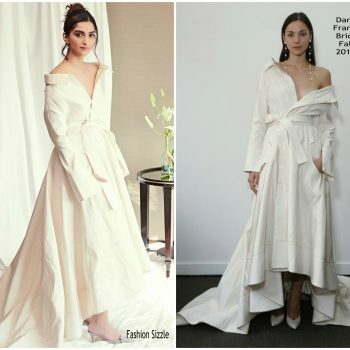 She wore a Ashi Studio Spring 2018 styled with Repossi jewels. 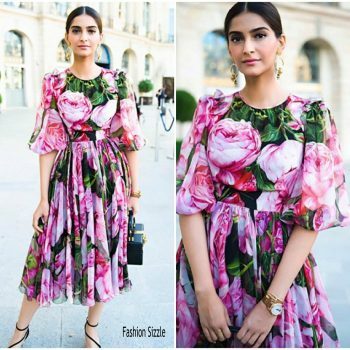 Sonam Kapoor was photographed out in Paris She wore a floral Dolce & Gabbana ‘Spring 2017 Tropico Italiano collection. 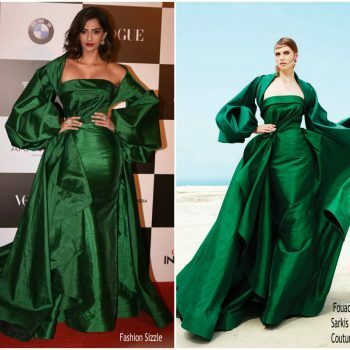 Sonam Kapoor attends the “The Killing Of A Sacred Deer” premiere during the 70th annual Cannes Film Festival on May 22, 2017 in Cannes, France. 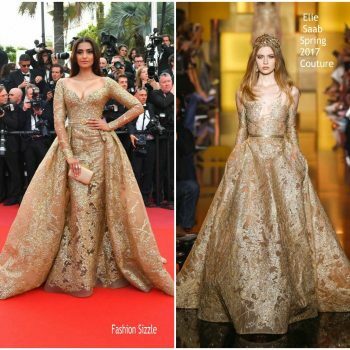 She wore a custom gold Elie Saab Spring 2017 Haute Couture gown. 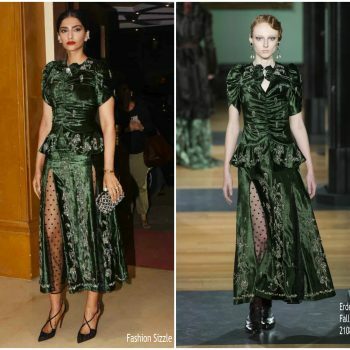 Sonam Kapoor attended ‘The Meyerowitz Stories’ premiere held during the 2017 Cannes Film Festival on Sunday (May 21). 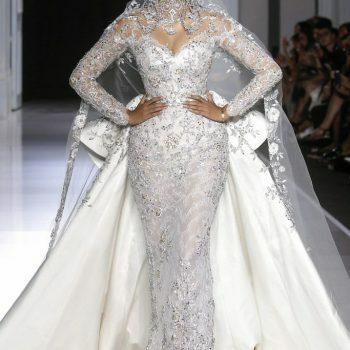 She wore a custom Elie Saab couture gown. 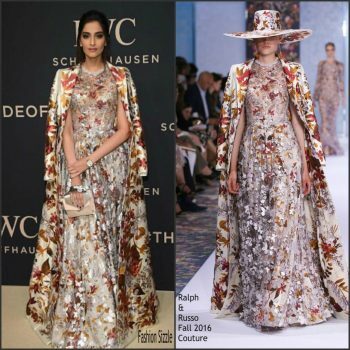 Sonam Kapoor was in attendance the Ralph & Russo F/W 2016 Haute Couture Paris Fashion show yesterday. 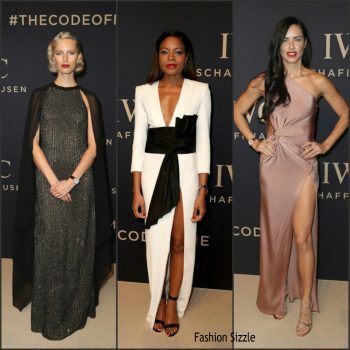 Celebs were in attendance at the amfAR’s 23rd Cinema Against AIDS Gala – Dinner at the annual 69th Cannes Film Festival at Hotel du Cap-Eden-Roc on May 19, 2016 in Cap d’Antibes, France. 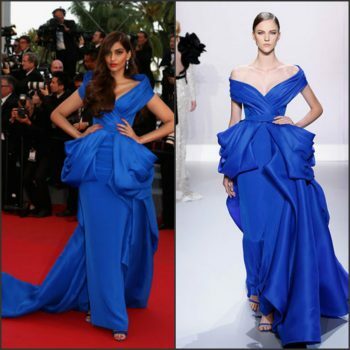 Sonam Kapoor attends the screening of 'Loving' at the annual 69th Cannes Film Festival at Palais des Festivals on May 16, 2016 in Cannes, France. 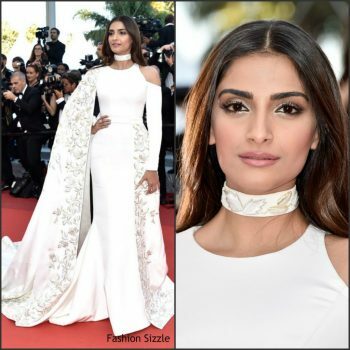 Sonam Kapoor attends the 'From The Land Of The Moon (Mal De Pierres)' premiere during the 69th annual Cannes Film Festival at the Palais des Festivals on May 15, 2016 in Cannes, France.